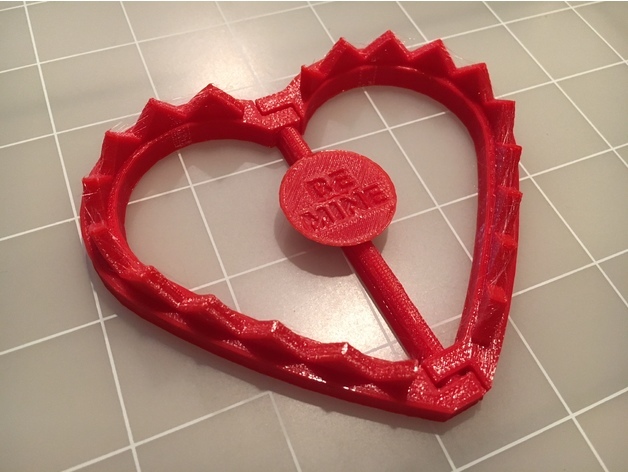 Heart-Shaped Love Trap #3DPrinting #3DThursday « Adafruit Industries – Makers, hackers, artists, designers and engineers! A_Vegas_Savage shared this project on Thingiverse! Wait, no, that was J. Geils. They both apply to this design. These heart-shaped traps are just in time for Valentine’s Day and come in four varieties: “Be Mine,” “Love,” a heart emblem, and blank for the placement of your own bait… er, design. The trap is not functional, it is simply decorative. All four models are included.